Sushil Kumar is a two-time defending champion at the Commonwealth Games. India's most decorated wrestler Sushil Kumar revealed that he considers next month's Commonwealth Games the first step towards accomplishing his 'unfulfilled' dream of a third Olympic medal. A two-time defending champion at the Games, the 34-year-old, who has Olympic bronze and silver medals to his credit, feels that competing at Gold Coast would prolong his career. The 66kg freestyle grappler expects to get a fair idea of where he stands at the international stage when he takes the mat in the CWG. "Since I started wrestling my only aim was to represent the country and do well for it. I have always given my 100 per cent on the mat whenever I was fit. I can't change people's mindset. I have nothing to prove to anyone," Sushil told news agency PTI. The tinge of bitterness in that statement is due to the selection controversies he has found himself in. The most prominent was before the 2016 Olympics, where Narsingh Yadav, eventually suspended for failing a dope test, was preferred ahead of Sushil without a formal trial. It denied Sushil a shot at what could have been a third successive Olympic medal. He was picked for Gold Coast after an ugly trial where his supporters and those of his rival Parveen Rana came to blows over which of the two deserved to be selected. "I have two Olympic medals. I have nothing to prove to anyone. But I have an unfulfilled dream and I came very close to it in 2012 (London Games where he won a silver). I feel I owe it to the country to get a gold at the Olympics," he said. Written off quite a few times, Sushil has also braved career-threatening injuries to make comebacks. However, despite his proven credentials, Sushil has been dropped from the government's Target Olympic Podium Scheme (TOPS) but the veteran has no complaints. "I don't think about what people say about me. My job is to give my 100 per cent whenever I am fit. 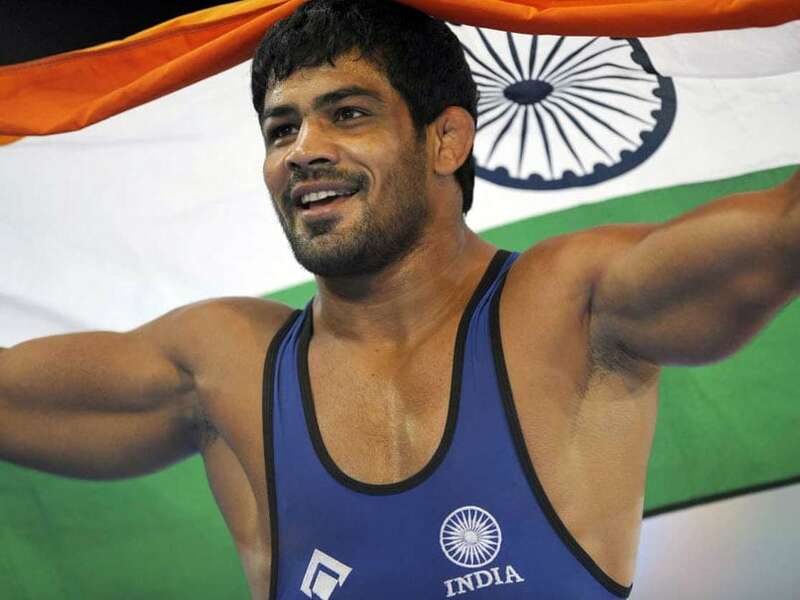 I have achieved everything in life and I didn't have to make a comeback through the Nationals," Sushil said. "My job is to give my 100 per cent on the mat and not think about medals which can put pressure on you." Keeping in mind the CWG, Sushil is travelling to Georgia later this week for a 10-day training schedule along with his sparring partner Harpool and coach Vladimir Merstervishvili. While Sushil is bearing his own expenses, Olympic Gold Quest is covering the cost for his partner Harpool. "I don't regret not being in the TOPS. My only aim is to give my best for the country whenever I am selected. So, I am travelling to Georgia later this week along with Harpool and coach Vladimir for a 10-day training stint," he said. At 34, his critics might be writing him off but Sushil feels a wrestler can continue at the international stage till 40 provided he takes good care of his body. "I feel a wrestler can continue till 40 if he can maintain his body. Everything depends on the individual and his lifestyle," said Sushil. "I have been working hard for the last four years. I have worked on my tactics and I am confident of a good show despite people's apprehensions," concluded Sushil, who missed the recent Asian Championships due to a knee injury.